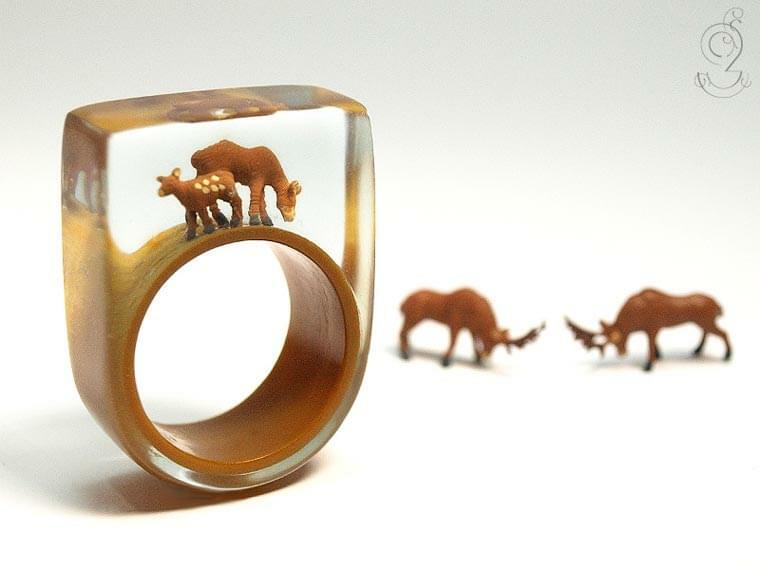 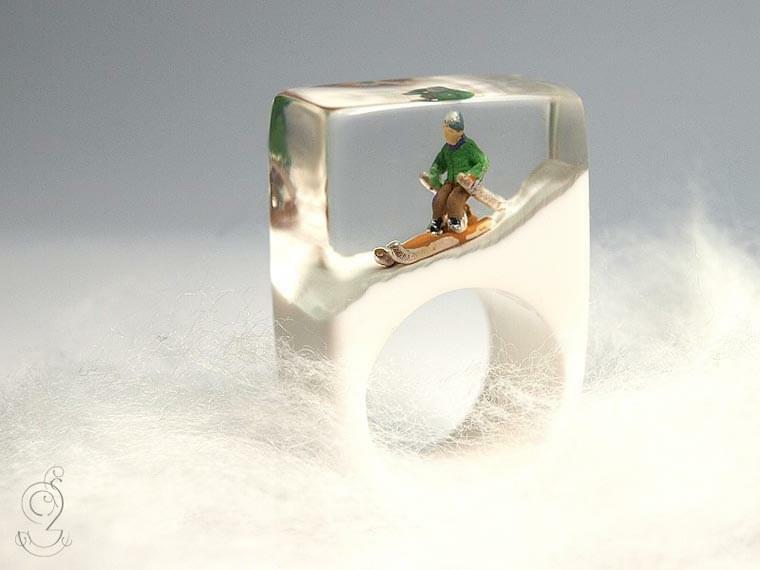 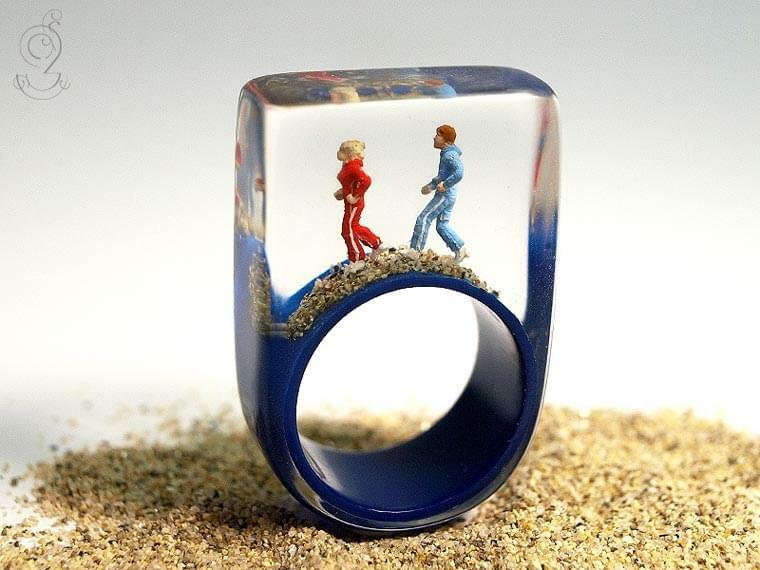 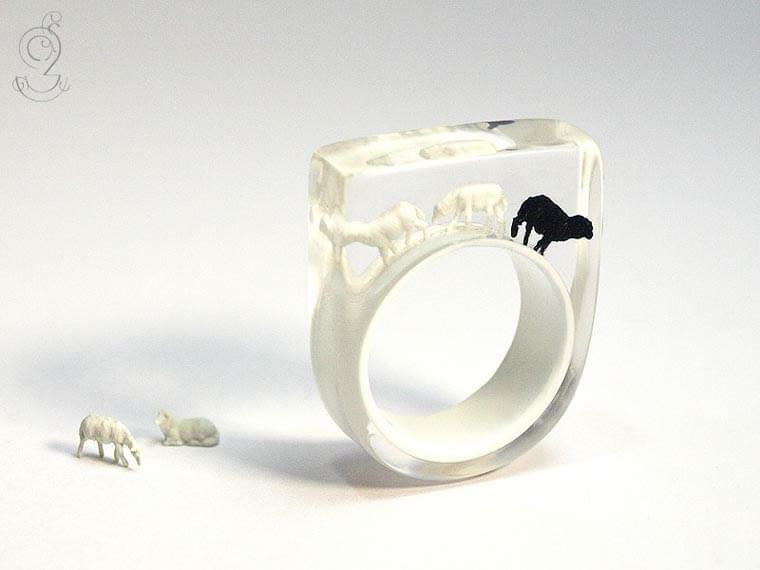 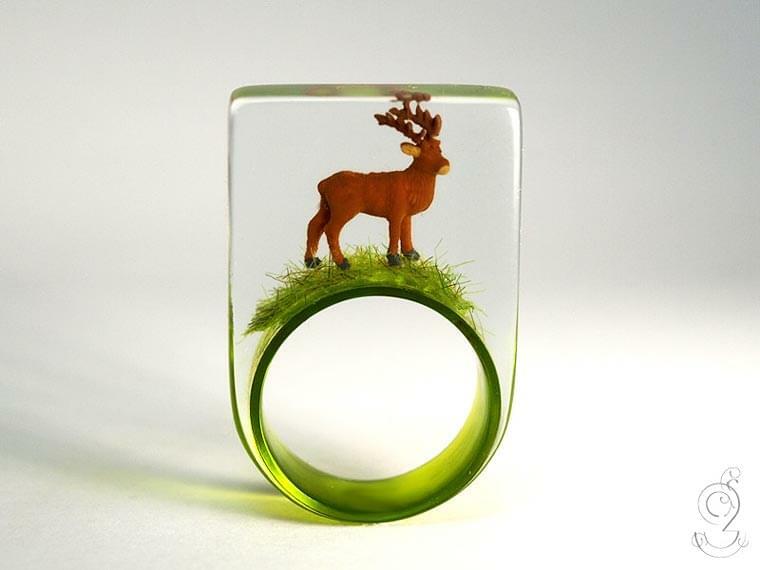 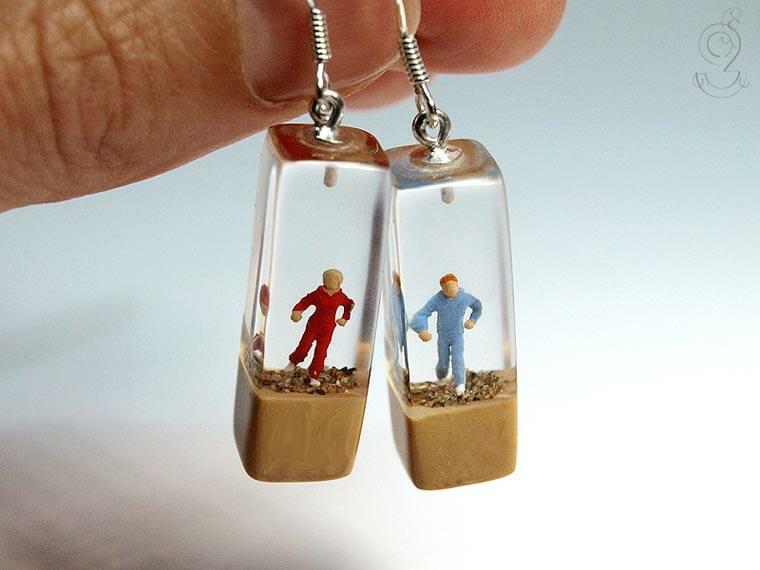 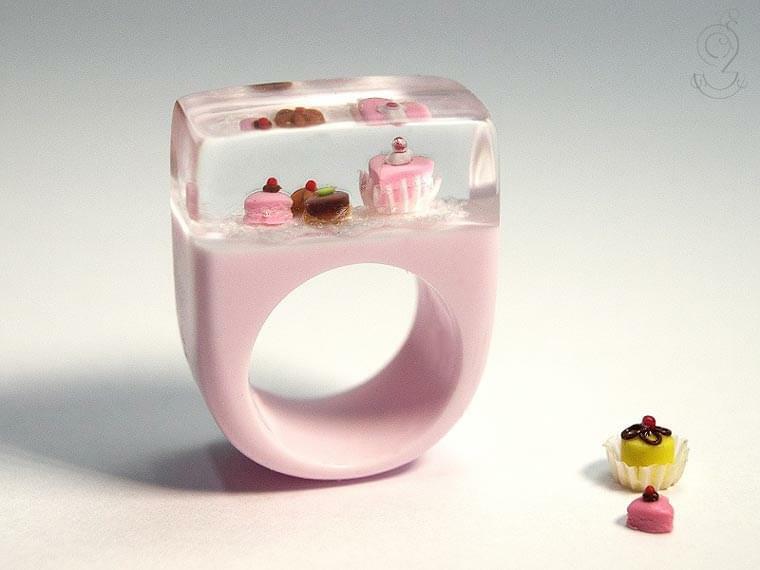 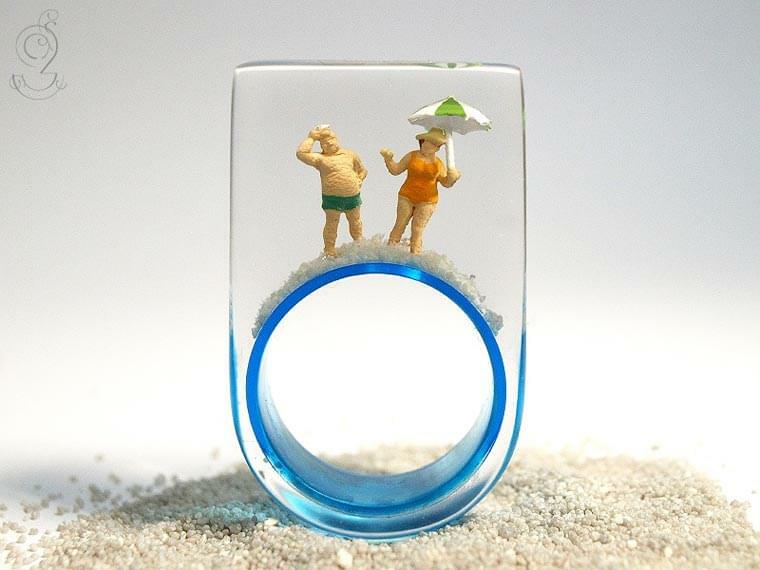 Here is the Diorama Jewelry series of German designer Isabell Kiefhaber, who likes to insert miniature scenes into her adorable jewelry. 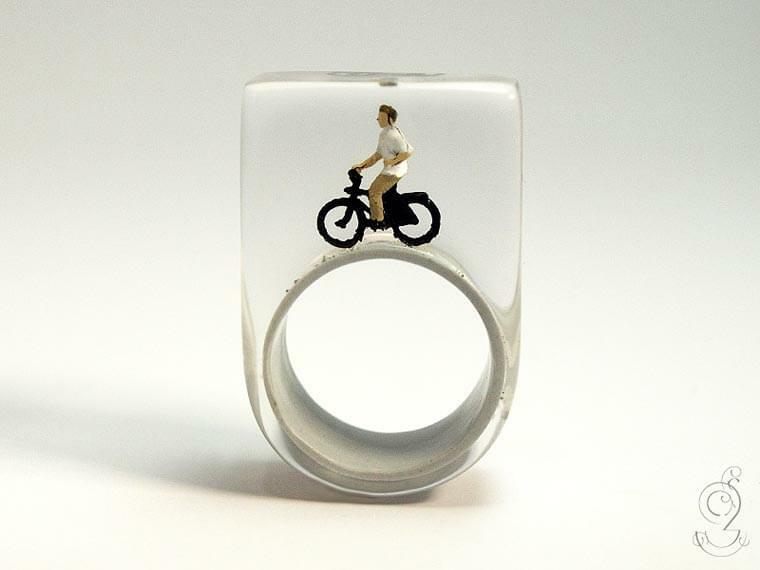 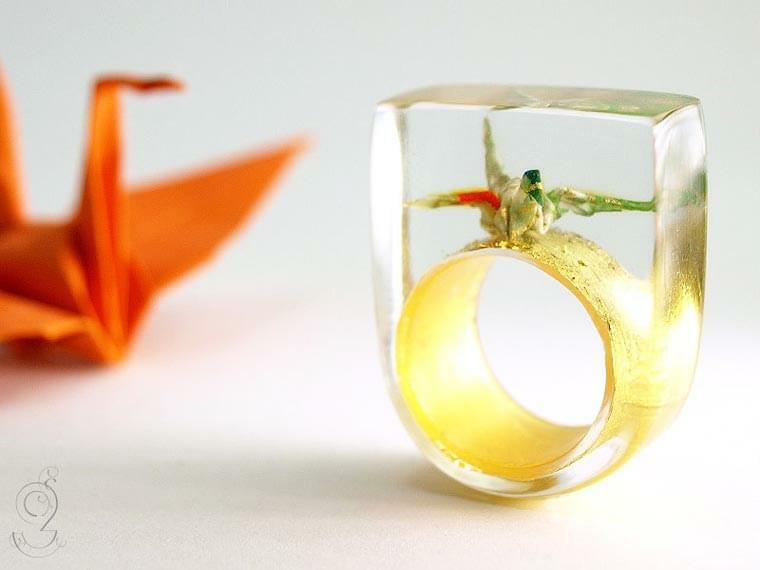 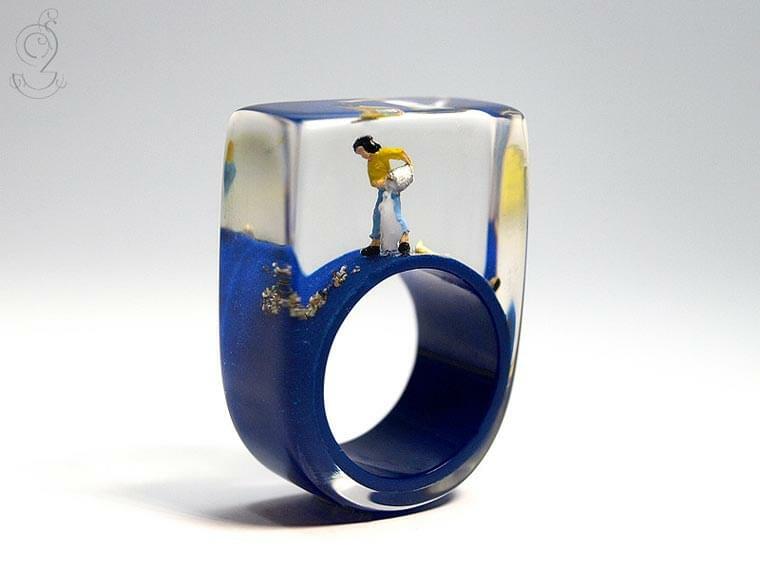 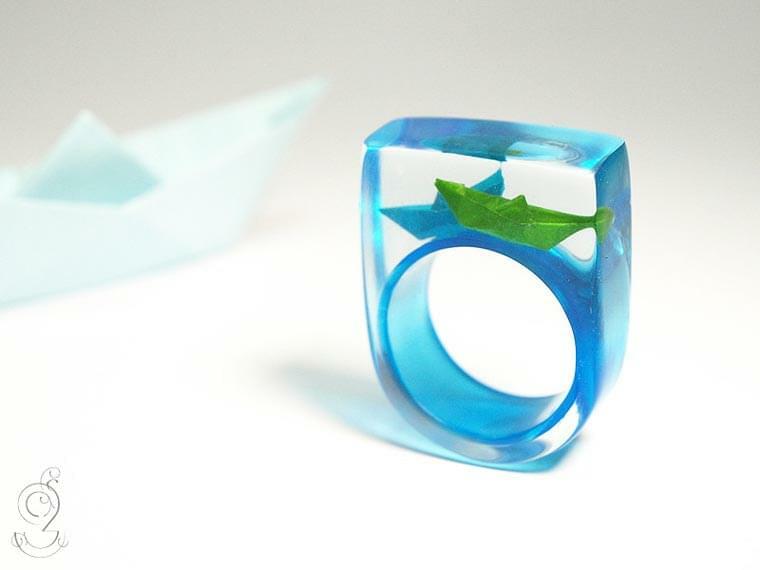 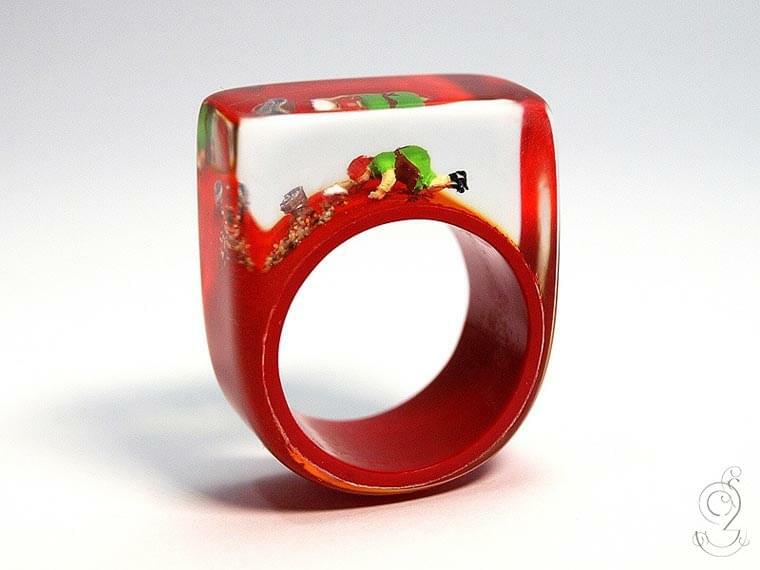 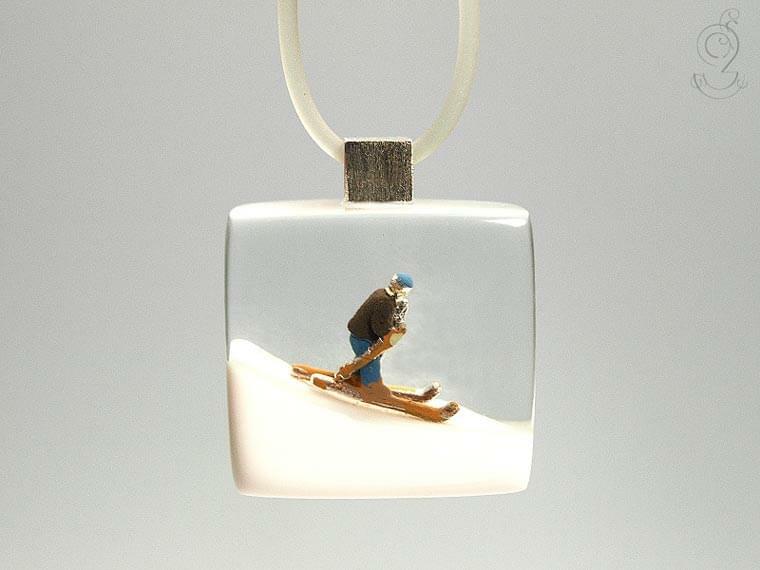 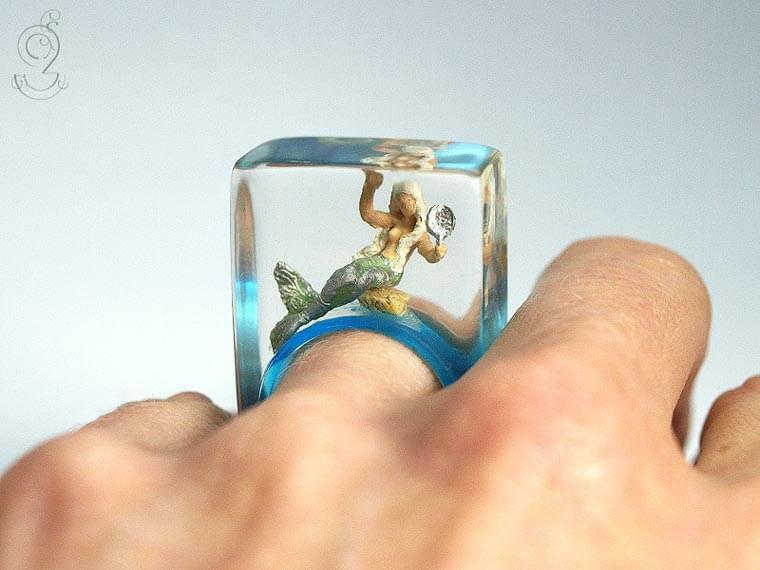 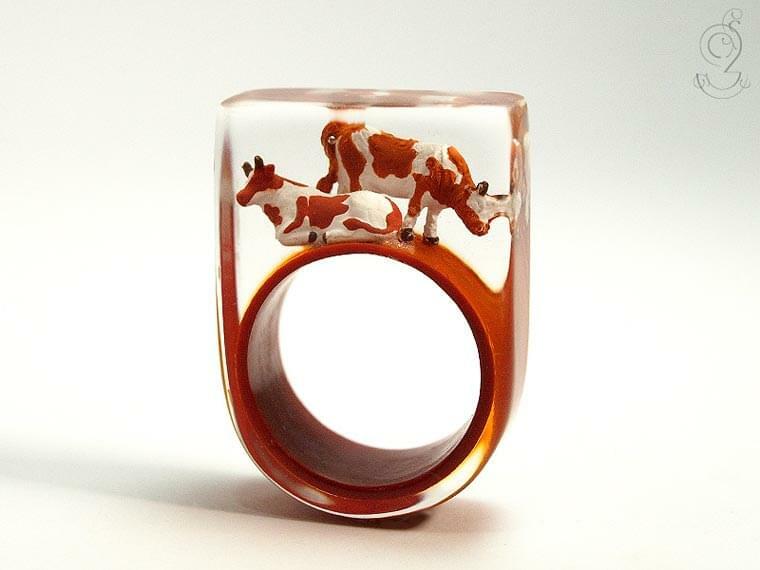 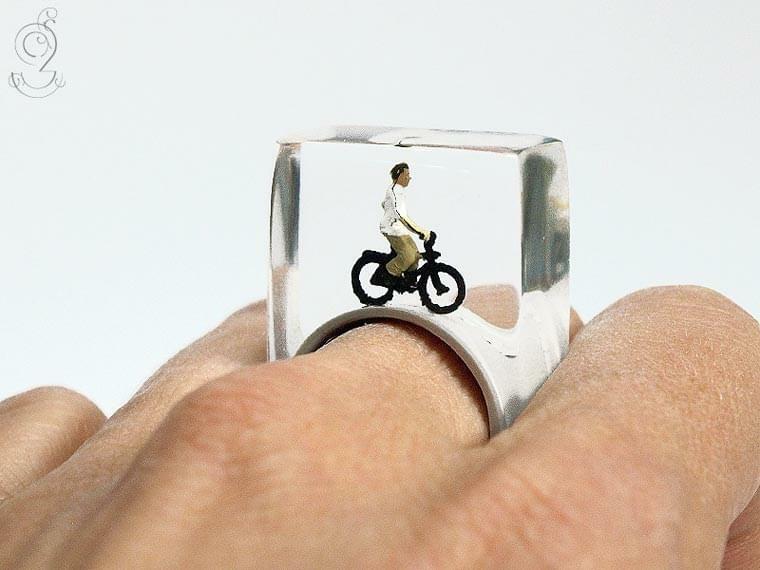 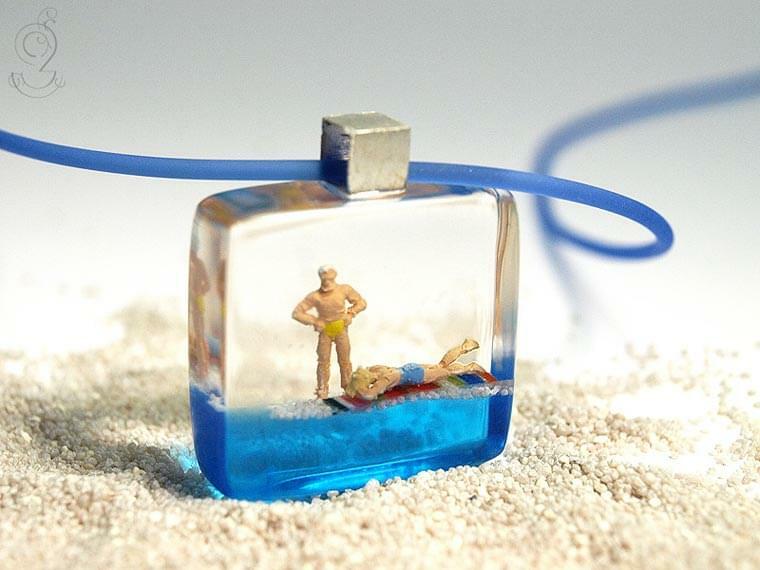 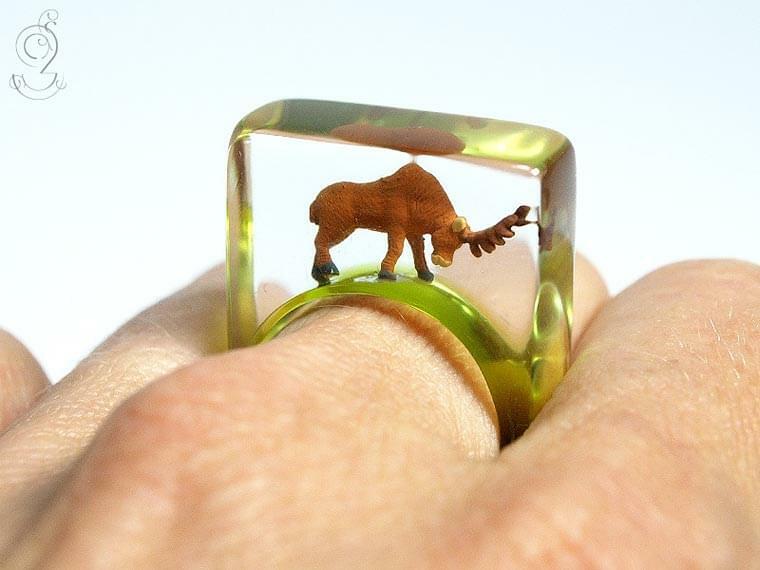 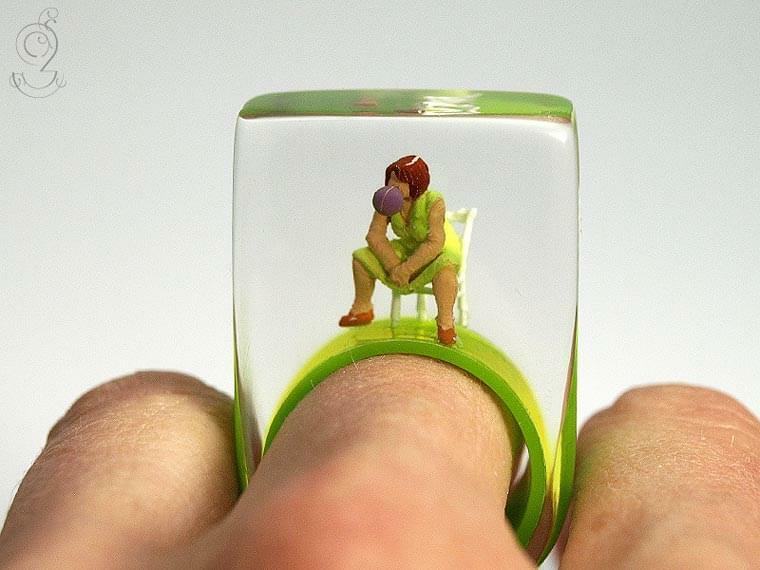 Some cute creations made of transparent resin, which contain small characters and simple everyday situations, such as cycling or playing at the beach, but also animals, origami or even mermaids. 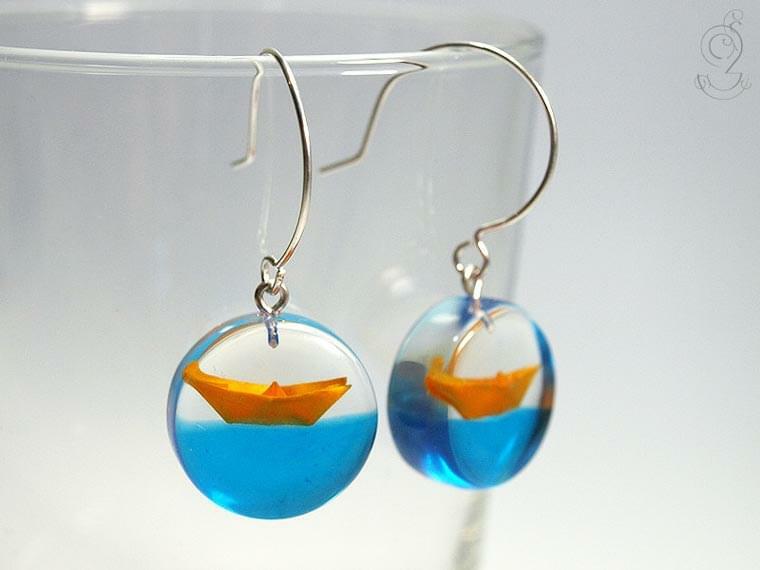 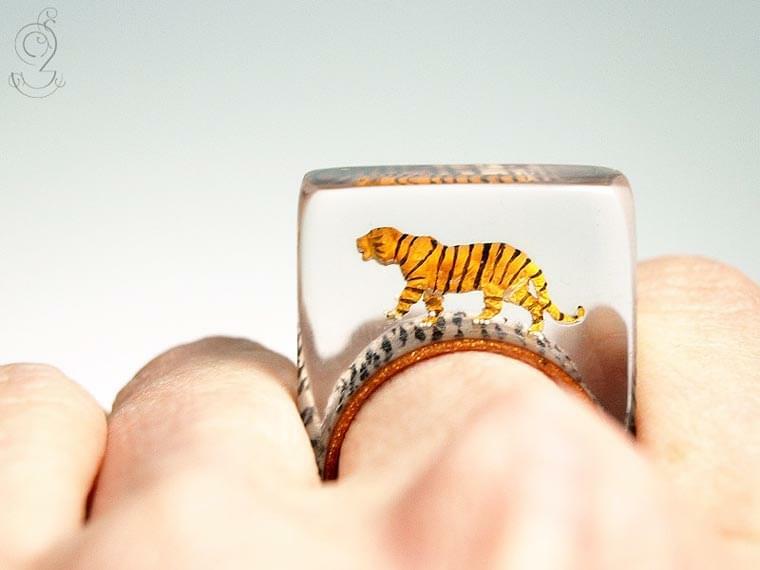 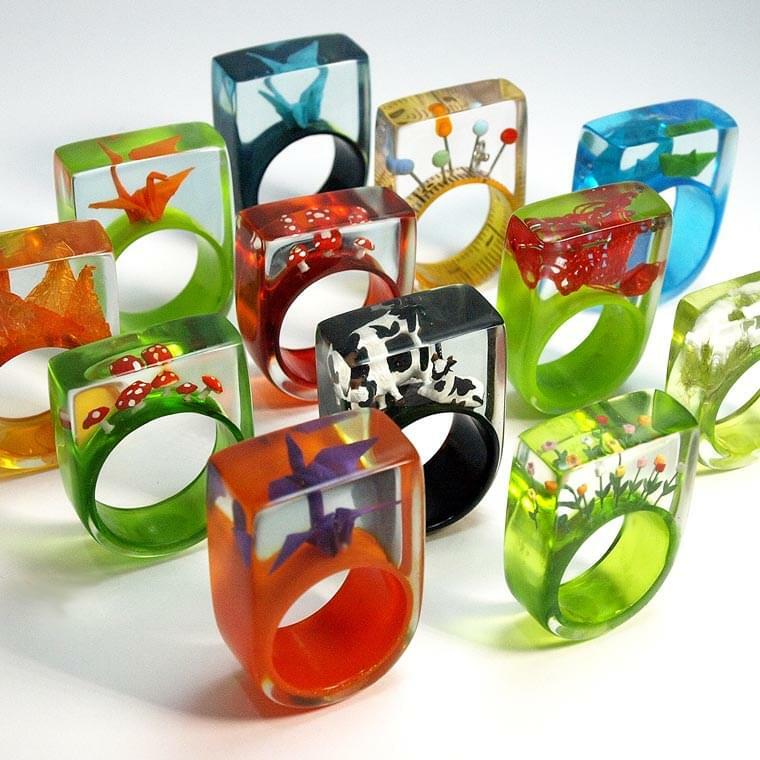 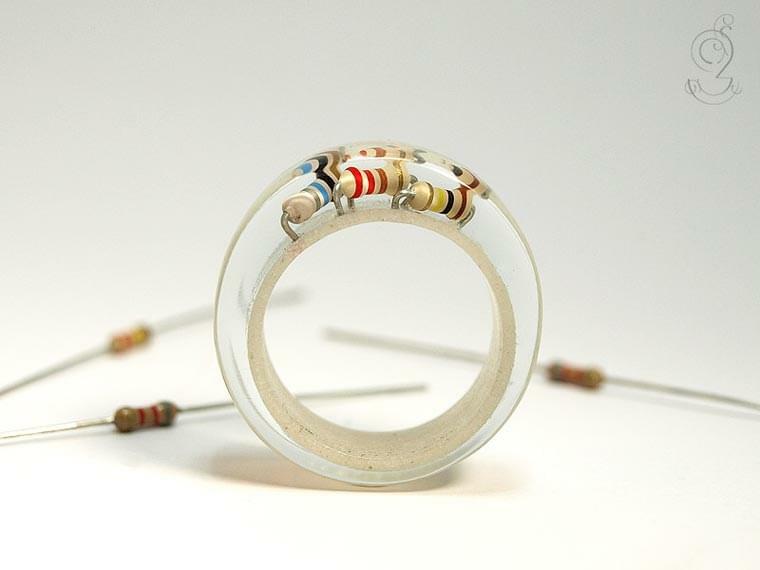 The creations of designer Isabell Kiefhaber are available on her Etsy shop.